Nicholas Stanutz, Huntington National Bank: "This [economic downturn] isn't any different. I doubt any prime to superprime lenders are going to look beyond FICO score for the circumstances." Picture it: A married couple has just agreed to purchase a family sedan and walks into the finance and insurance office seeking financing. They had a good credit history for years, but all that changed in early 2009. One of them lost a job. The payment on their adjustable-rate mortgage was about to skyrocket. And the value of their house plummeted, so that they lost all the equity they had built over the 10 years they owned it. They handed over the keys to the bank and joined the ranks of those with foreclosure on their record. Now they're both working and want to replace their SUV with a car. What kind of finance terms should they expect, and how easy should it be to get them financed? Some auto lenders say that they are now subprime customers and should expect to pay the high rates granted those with risky credit. The number of subprime consumers is growing. In the past two years, 3.4 million Americans -- the new subprime customers -- have joined the group. A recent FICO study shows that about 44.2 million people -- or 26 percent of the U.S. consumers who have enough credit information on file to receive a FICO score -- have credit scores below 600. That's up from 40.8 million people -- or 24 percent of scorable consumers -- in 2008. Some dealers -- especially those in areas with high foreclosure rates -- say those victims of the credit crisis who have become the new subprime consumers should receive better treatment than people with a long history of credit woes. "Lenders have loosened credit somewhat, but not as much as they should," says Mike Scarfia, F&I manager at Lund Cadillac in Phoenix. "Good, solid people are walking away from their houses. They shouldn't be lumped in with the deadbeats." Aaron Mills, finance director of Ralph Schomp Honda in Littleton, Colo., agrees. "Customers who have been a prime risk in the past have a very difficult time understanding why they are no longer A-plus customers," he says. 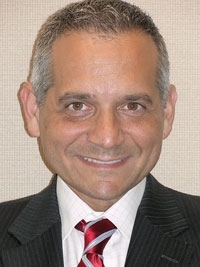 Scarfia voiced his concerns following a panel discussion featuring subprime lenders at the F&I Management & Technology symposium in Las Vegas in mid-September. On the panel were representatives of Capital One Auto Finance, Santander Consumer USA Inc., Westlake Financial Services and Chase Custom Finance. The lenders all said they were well-funded. Although they tightened credit early last year, they are back in the auto finance market full force. But some dealers attending the meeting openly griped that even those subprime lenders were rejecting deals they shouldn't or charging especially high interest in an era of record-low rates. The dealers recognize that customers with credit blemishes can't expect the 3 to 4 percent interest rates the best customers are getting. But as the new subprime customers inch their way out of the worst economy since the Great Depression, some dealers think they deserve better rates than the high teens given typical subprime borrowers. Before the downturn, those credit-blemished customers were considered prime credit risks. They regularly paid their bills. Dealers argue that once those customers have found jobs or get past the foreclosure, they'll return to their solid payment practices. Some auto lenders are looking beyond credit scores because they view those people as an opportunity to snap up finance business. But while the money is flowing, the lenders aren't lowering rates, dealers say. Scott Sandler, Asbury Automotive Group: "Lenders understand the market has dipped. They're looking at other factors such as down payment, time on the job and whether they're homeowners." • Automated credit processing is not set up to handle the extra attention risky customers need. • Risky borrowers may be sued by creditors. "I think all the lenders understand the market has dipped," says Scott Sandler, national director of financial services for publicly held Asbury Automotive Group, of Atlanta. "They're looking at other factors such as down payment, time on the job and whether they're homeowners." In general, it's the usual suspects stepping up to finance the new subprime customers -- the specialty finance lenders, some automakers' captive finance companies and banks with specialty finance arms. Mills of Ralph Schomp Honda says: "Captive financing is always the best option for these folks, especially if they've paid their previous auto [loan] well." In some cases, credit unions -- which largely serve customers with good credit -- are reaching out to members who ran into trouble in the downturn. And Ally Financial, formerly GMAC Financial Services, is extending credit to customers with credit blemishes, though it shuttered its subprime subsidiary last year. "We are increasing staffing in the nonprime area," Ally spokeswoman Sue Mallino says. Dealers say Chrysler Financial, Chrysler's former finance arm, also is providing financing for victims of the downturn, targeting used-car buyers with credit scores of 560 to 620. Phoenix-area F&I consultant George Angus says that the captives' buying practices have been "spotty" and that they're buying more conservatively. But "they are being forced to buy deeper to keep the dealers' business. There is a lot of competition out there," Angus says. People with credit scores of 500 and up are getting financed, and some with scores between 400 and 500 with a large down payment are able to obtain car loans, he says. "If they want the loans and the dealers, they will have to accept marginal loans because that is such a big part of the current market," Angus says. Lithia Motors Inc., of Medford, Ore., has increased its business by more than 20 percent this year with subprime lenders Capital One, Reliable Credit and Santander. 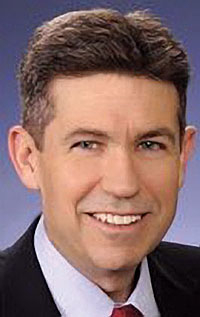 Subprime customers are important clients as Lithia sells more higher-mileage used cars, says Lithia CFO Chris Holzshu. But because the unemployment rate remains high, many lenders remain skittish about nonprime consumers. The banks that traditionally serve good and excellent credit risks have maintained their high standards. "Our history of auto finance has always had to deal with job loss through the economic downturns of the last 40 years. This one isn't any different," says Nicholas Stanutz, senior executive vice president of Huntington National Bank. "I doubt any prime to superprime lenders are going to look beyond FICO score for the circumstances." Stanutz says banks such as Huntington automate their credit decisions because prime lending has thin profit margins. A highly automated operation is not set up to handle risky customers, who require extra attention, he said. Ken Baruth, Toyota Financial Services: "Just because a customer gives a house back doesn't mean [troubles are] ended. When you lend, you want to get your money back." Ken Baruth, global chief risk officer at Toyota Financial Services, wants to be sympathetic. During the credit crisis, he says, dealers would plead: "You've got to buy this deal." And, to some extent, he says, the company has been flexible. But Baruth shudders at recent foreclosures. "We're trying to determine if this is a good credit risk," he says, noting that those borrowers could face legal troubles. "Just because a customer gives a house back doesn't mean it's ended. When you lend, you want to get your money back." 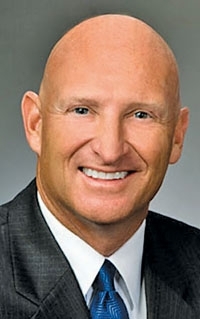 Mills of Ralph Schomp Honda says few lenders have adjusted their standards for the new subprime borrower, but he thinks that will change in time. "Lenders will have to be more understanding of the harsh realities that these customers face," Mills says. "They have a true opportunity to lend money to good customers at a decent rate if they can figure out the risk."